Few issues concerning cannabis and health evoke more disparate opinions than the question of maternal pot use during pregnancy. It’s easy to see why. Logic presumes that if pre-natal exposure to intoxicants such as alcohol and tobacco poses proven health risks to the fetus, then exposure to pot would likely pose similar risks to a child’s health and development. Nevertheless, much of the science surrounding this issue says otherwise – though a definitive answer remains elusive. Reasons for this are two-fold. One, it is virtually impossible for investigators to obtain permission to conduct any type of prospective clinical trial that knowingly exposes pregnant mothers – and their future offspring – to cannabis. Two, because women often face severe legal sanctions (such as the loss of child custody or incarceration) for admitting that they have smoked pot while pregnant, most mothers refuse to divulge such information – even to researchers conducting anonymous surveys years after the fact. Moreover, among the handful of surveys that have been conducted, several fail to adequately control for mothers’ use of alcohol, tobacco, or other drugs during the course of their pregnancy. As a result, much of the published data assessing the extent of maternal pot use and its health implications remains limited to historical texts, studies from non-Western cultures (where the use of cannabis has gained greater social acceptability), and retrospective survey data. Historic references regarding the use of therapeutic cannabis for a variety of female medical conditions, including difficult childbirth, date back to the 7th century BC. According to “Cannabis Treatments in Obstetrics and Gynecology: A Historical Review” by Dr. Ethan Russo, various parts of the plant – including cannabis flowers and seeds – were used by Chinese and Persian societies to induce contractions, prevent miscarriages, and reduce incidences of post-partum hemorrhage. By the mid-19th century, the use of cannabis tinctures became prevalent in Western cultures to hasten pregnancy and reduce pre-partum nausea. The historical use of cannabis use for pregnancy-associated pain and other complications is also referenced in African, Indian, and Southeast Asian cultures. More recent documentation of the therapeutic use of cannabis by mothers-to-be is less prevalent – no doubt because of pot’s outlaw status in most parts of the world. Nevertheless, some notable references stand out in the modern literature. Writing in the journal Pediatrics in 1994, Dr. Melanie Dreher and colleagues reported that the use of cannabis to treat nausea and increase appetite during pregnancy remains customary among women in southeast Jamaica. Though Dreher acknowledges that such use is discouraged at government-sponsored pre-natal clinics, she found that many women nonetheless consider ganja to hold therapeutic benefits to themselves and their unborn children. Most recently, survey data collected by the directors of the Vancouver Island Compassion Society (The VICS) and the BC Compassion Club and published in the journal Complementary Therapies in Clinical Practice reported that cannabis is therapeutic in the treatment of both morning sickness and HG. Of the 84 women who responded to the anonymous questionnaire, 36 said that they had used cannabis intermittently during their pregnancy to treat symptoms of vomiting, nausea, and appetite loss. Of these, 92 percent said that cannabis was “extremely effective” or “effective” in combating their symptoms. Investigators noted that although most women chose to self-administer cannabis by smoking, many (31 percent) also reported consuming hempen edibles, and eight percent reported using cannabis-based oils or tinctures. Writing in their 1997 book Marijuana Myths, Marijuana Facts: A Review of the Scientific Evidence (The Lindesmith Center), Drs. John P. Morgan and Lynn Zimmer assert, “Marijuana has no reliable impact on birth size, length of gestation … or the occurrence of physical abnormalities” among infants. Large-scale surveys appear to back up their conclusion. 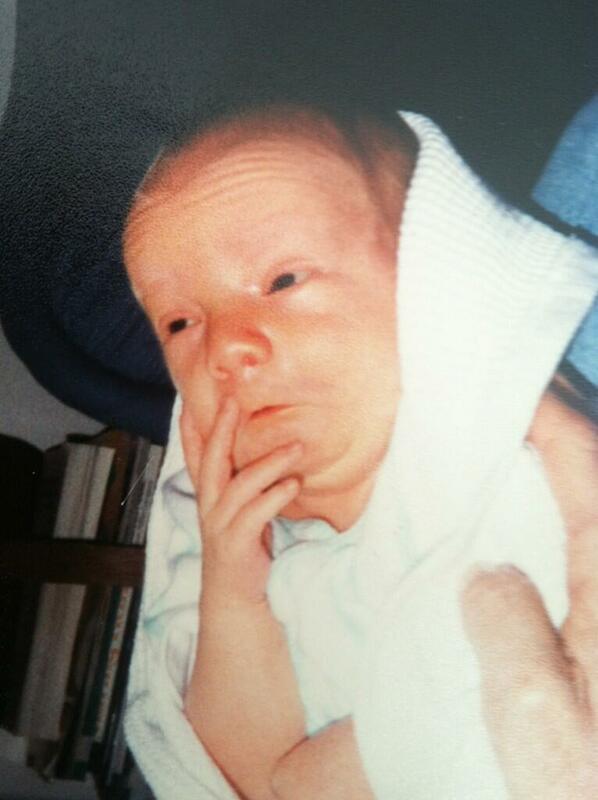 A 2002 survey of 12,060 British women did not demonstrate significant differences in growth among newborns exposed to cannabis in utero versus those with no exposure, when controlling for co-founding factors such as the mothers’ age, pre-pregnancy weight, and the self-reported use of tobacco, alcohol, caffeine, and other illicit drugs. A 1999 survey of 12,885 Dutch mothers reported similar findings after controlling for maternal tobacco use. 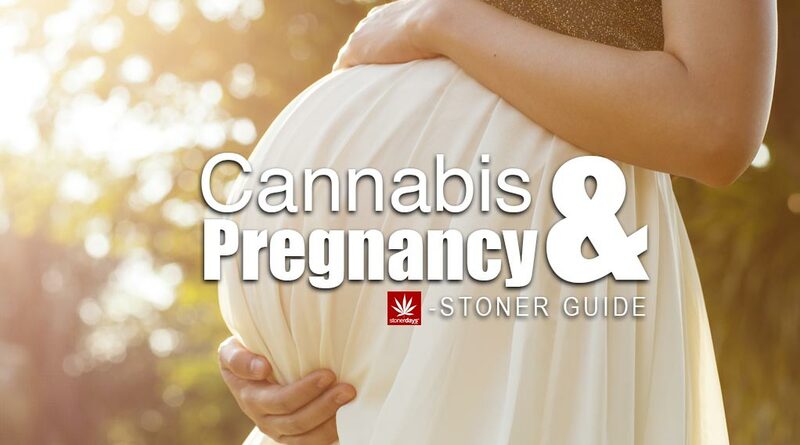 “The use of cannabis is not a major prognostic factor regarding the outcome of pregnancy,” the authors concluded. A 1997 Australian study of 32,483 mothers also reported, “There is inadequate evidence that cannabis, at the amount typically consumed by pregnant women, causes low birth weight.” Most recently, a large-scale case-control study published in the journal Pediatric and Perinatal Epidemiology determined that mothers who reported using cannabis during pregnancy suffered no increased risk of bearing children with acute myeloid leukemia, a cancer known to strike adolescents under age 15. By contrast, longitudinal data assessing the potential impact of pre-natal cannabis exposure on neurobehavioral and cognitive functioning is ambivalent. Two cohorts have examined this issue, both of which assessed the impact of heavy marijuana exposure on offspring outcome. Both studies remain ongoing. The first cohort, known as the Maternal Health Practices and Child Development Study, examines the offspring of so-called “high-risk” mothers of low socio-economic status who reported using pot, alcohol, and other intoxicants. Investigators report an association between daily cannabis use in the first and third trimesters and adverse neurobehavioral and cognitive outcomes, such as lower verbal and reading scores and increased depression. However, due to the study’s methodological limitations, researchers cannot conclude whether these outcomes are due to cannabis exposure or other pre-natal or post-natal environmental factors. The second cohort, known as the Ottawa Prenatal Prospective Study (OPPS) examines the outcomes of prenatal exposure to cannabis and tobacco smoking in a sample of low-risk, white, upper-class families in Ontario, Canada. So far, results of the study have been mixed – showing an association between maternal pot use and higher incidences of adolescent impulsivity, overall poor behavior, and decreased “executive function” (an integration of cognitive processes) at certain ages, but not at others. (By contrast, investigators have not noted any negative association between pre-natal pot exposure and IQ scores.) Recently, a comprehensive review of both studies published in the journal Neuroscience and Behavioral in 2005 concluded that if an association between pre-natal cannabis exposure and certain neurobehavioral and cognitive deficits exists, it is a “subtle” one and appears to be primarily associated with children exposed to heavy amounts of cannabis as well as alcohol and/or tobacco. More recently, researchers at the University of Pittsburgh School of Medicine published findings in 2008 from a prospective study assessing the effects of prenatal marijuana exposure in 648 children in a low-income population at a six-year follow up. Researchers reported: “There was a significant nonlinear relationship between marijuana exposure and child intelligence. Heavy marijuana use (one or more cigarettes per day) during the first trimester was associated with lower verbal reasoning. … Heavy use during the second trimester predicted deficits in the composite, short-term memory, and quantitative scores. Third-trimester heavy use was negatively associated with the quantitatives core. … These findings are of concern, but they do not by themselves demonstrate causality.” Most recently in 2009 investigators at the University of Bristol in Great Britain assessed whether maternal use of tobacco, alcohol, or cannabis during pregnancy increased the risk of psychotic symptoms in their offspring. Researchers examined the drug use habits of the mothers of over 6,300 adolescents – approximately 12 percent of which exhibited some symptoms of psychosis. THE OCCASIONAL TOKE: SAFE FOR MOMS OR NOT? Unfortunately, there is not a definitive answer to this question available at this time. Nevertheless, with a reported three percent of US women of reproductive age reporting that they occasionally use marijuana, it may be arguable that potential pre-natal and post-natal dangers posed by maternal pot use – particularly moderate use – are rather minimal, especially when compared to the in utero exposure of alcohol and tobacco. Ultimately however, any decision by the parent regarding the maternal use of cannabis should be made in consultation with a physician. In addition, any decision to potentially use cannabis carries with it serious potential legal ramifications, including temporary loss of child custody. Finally, it should be noted that scientists today are just now beginning to understand the role of endocannabinoids and the endocannabinoid system in reproduction, including their role in pre-natal and post-natal development. Whether the future understanding of this system will shed additional light on the health implications of maternal pot smoking remains to be seen. Regardless, let’s hope that it is science — not rhetoric — that ultimately is the final arbiter in this decades-long debate. Ethan Russo. 2002. Cannabis Treatments in Obstetrics and Gynecology: A Historical Review. Journal of Cannabis Therapeutics 2: 5-35.
http://www.cannabis-med.org/membersonly/mo.php?aid=2002-03-04&fid=2002-03-04-1&mode=a&sid= Dreher et al. 1994. Prenatal marijuana exposure and neonatal outcomes in Jamaica: An ethnographic study. Pediatrics 93: 254-260.
http://www.druglibrary.org/schaffer/hemp/medical/can-babies.htm Wei-Ni Lin Curry. 2002. Hyperemesis Gravidarum and clinical cannabis: To eat or not to eat? Journal of Cannabis Therapeutics 2: 63-83.
http://www.informaworld.com/smpp/content~db=all?content=10.1300/J175v02n03_05 Westfall et al. 2006. Survey of medicinal cannabis use among childbearing women: Patterns of its use in pregnancy and retroactive self-assessment of its efficacy against ‘morning sickness.’ Complementary Therapies in Clinical Practice 12: 27-33.
http://www.ncbi.nlm.nih.gov/pubmed/16401527 John P. Morgan and Lynn Zimmer. Marijuana Myths, Marijuana Facts: A Review of the Scientific Evidence. New York: The Lindesmith Center. 1997. Fergusson et al. 2002. Maternal use of cannabis and pregnancy outcome. BLOG: An International Journal of Obstetrics and Gynaecology 109: 21-27.
http://www.ncbi.nlm.nih.gov/pubmed/11843371 Balle et al. 1999. 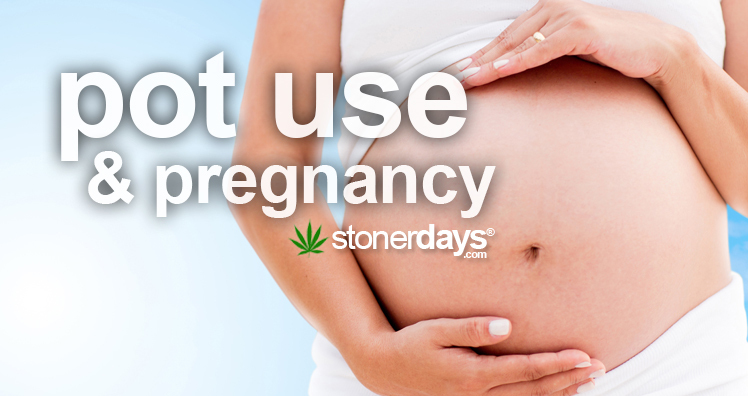 Cannabis and pregnancy. Ugeskr Laeger 161: 5024-5028.
http://www.biopsychiatry.com/canpreg.htm English et al. 1997. Maternal cannabis use and birth weight: a meta-analysis. Addiction 92: 1553-1560.
http://www.ingentaconnect.com/content/carfax/cadd/1997/00000092/00000011/art00015 Trivers et al. 2006. Parental marijuana use and risk of childhood acute myeloid leukaemia: a report from the Childrenʹs Cancer Group. Pediatric and Perinatal Epidemiology 20: 110-118.
http://www.ncbi.nlm.nih.gov/pubmed/16466429 Richardson et al. 1995. Prenatal alcohol, marijuana and tobacco use: infant mental and motor development. Neurotoxicology and Teratology 17: 479-487.
http://www.ncbi.nlm.nih.gov/pubmed/7565494 Peter Fried. 1995. Prenatal exposure to marihuana and tobacco during infancy, early and middle childhood: effects and an attempt at synthesis. Archives of Toxicology Supplement 17: 233-260.